Hey hey! It's Friday and we have had not one but two ice storms this week. Winter isn't going quietly in Iowa! We are all ready for the weekend here. We have our tax appointment, Solon's basketball game, and a Rotary gala to go to on Saturday night #datenight! It should be a good, fun weekend. But first, let's get to my favorites this week! 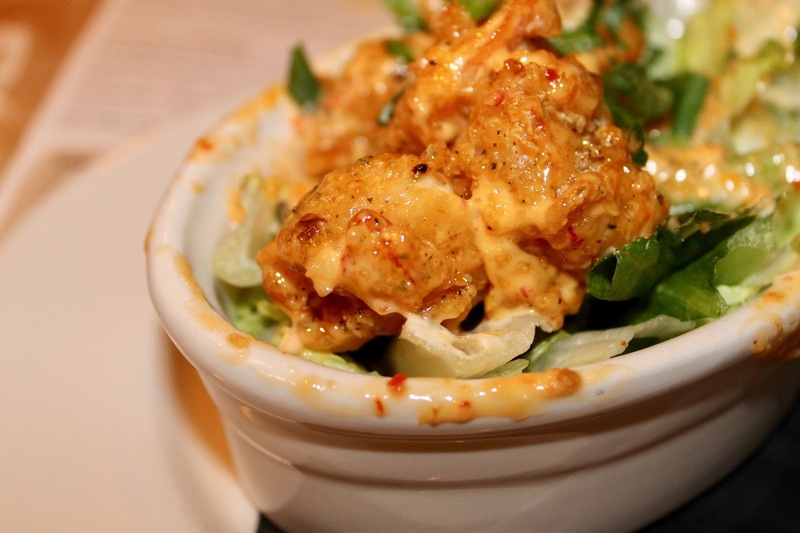 Bonefish Grill West Des Moines invited me in to try their delicious new menu! (This meal was paid for but the opinions are my own - Thank you Bonefish Grill!) My dear friend Jennifer is moving away (how dare she!!!) so we decided to have one last girls night. The food was delish as always and the service was amazing. 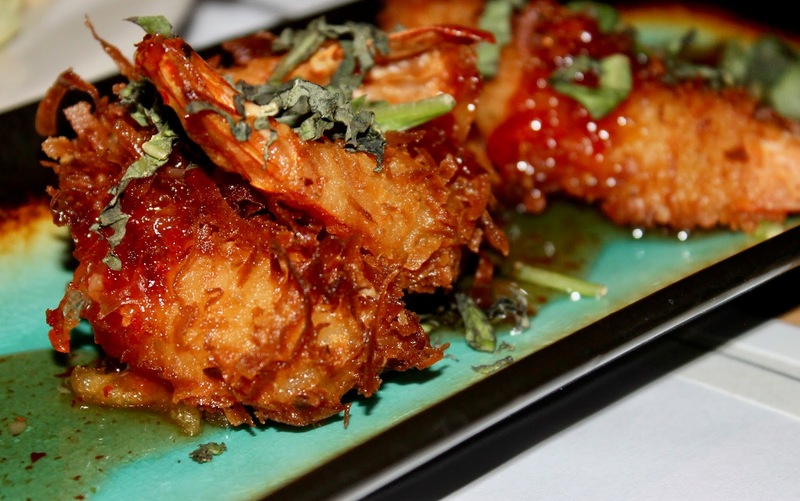 We got the Bang Bang Shrimp as well as the Thai Coconut Shrimp. My mouth is watering just thinking about them! I also got a house margarita on the rocks with salt (as margaritas are meant to be enjoyed) and my friend Julie got the Bonefish Pomegranete Martini which she said she gets every.single.time because it's so good! 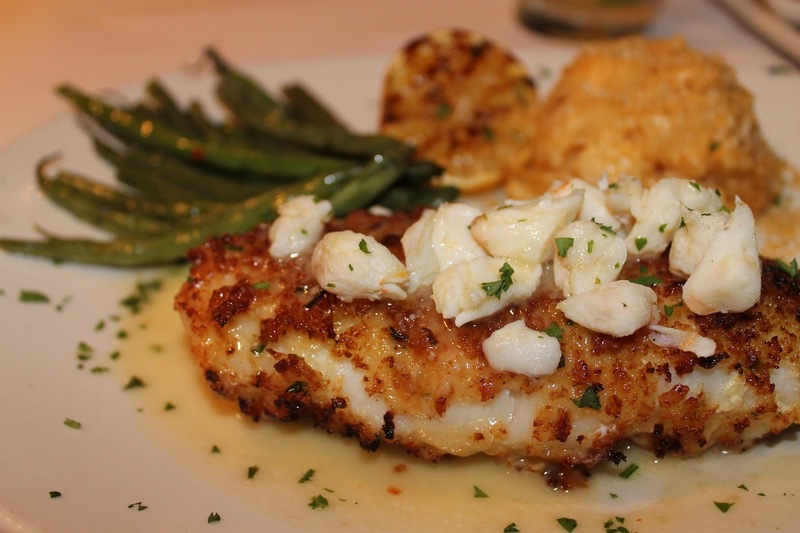 We also enjoyed the crab crusted cod, the fish and chips, and the risotto! 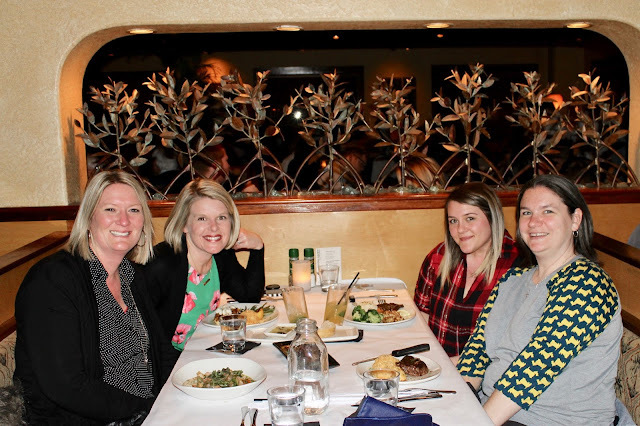 My friend Jennifer is not a seafood person so she ordered the sirloin steak and enjoyed it. All of us raved about the garlic mashed potatoes. We celebrated with a slice of cheesecake with 4 forks for dessert because we were stuffed! 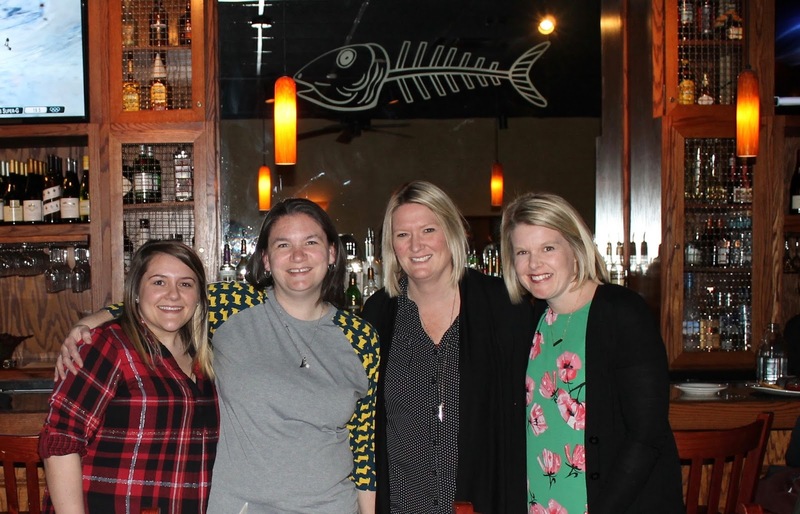 If you are looking for a Friday night date night during Lent, Bonefish has you covered but even if you aren't into fish or seafood their menu has plenty of other delicious options (Lily's chicken is good). They also have a yummy brunch and lunch menu! It's perfect for date night, girls night or every occasion in between! 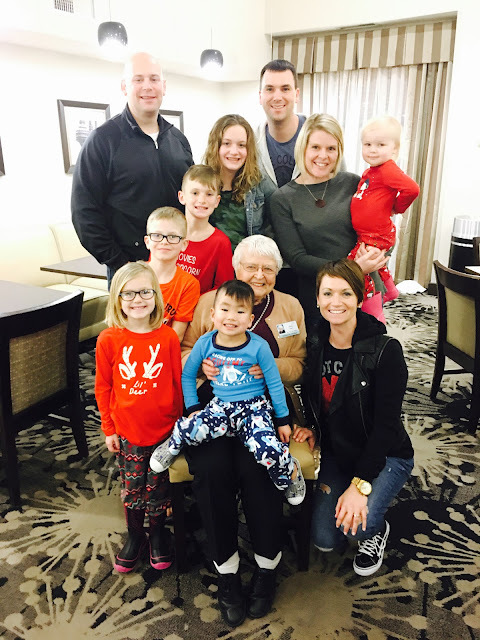 Last weekend we headed to Eastern Iowa to visit Scott's Grandma who turns 98 in March! Our Minnesota cousins joined us and we had so much fun hanging out together. We did this last year and enjoyed a 70 degree park day. This year it was snowy and the roads were awful but we all made it and enjoyed Mexican food for lunch (of course) and then headed to an indoor playground/arcade place before heading to the hotel for pizza, board games and swimming. It was a perfect little getaway and gave us the travel bug itch for sure! The next morning we had breakfast, hung out and then said our goodbyes to our cousins. We headed over to my grandparents place for lunch and then headed home. I love that our kids can make memories with 3 great-grandparents. They are such a gift to us! Solon's basketball season is nearly over but it has been so fun to watch him do what he loves. The kid loves playing sport 24/7. This year, Scott coached Solon's team again with our dear friend Justin. It's been fun to watch Scott work hard to develop the players and team as well as bond with Solon! I need to take my DSLR camera because they move fast and every action shot I have taken has been blurry! My sister, mom and cousin were able to come to a game when they were in town for the shower and they whooped and hollered for Solon which he just ate up! I can't believe it's nearly the end of February! I still can't wrap my brain around the fact that spring break is in 12 days! I sure hope it starts to feel like spring soon :)! 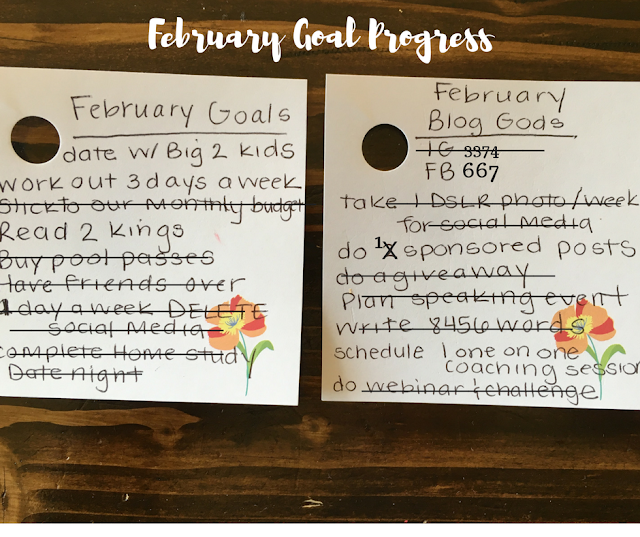 I'll be honest, I was a little overzealous with my February goals so I wasn't as successful this month. I also lost my goal note SO I couldn't see them everyday, I broke my own rule to keep them visible! This month I taped it to my computer screen so I should be good! Read more about how I make goals here. We gifted both kids with dates for Valentine's Day and we might do a few this weekend but Vera and I are getting our toes done for spring break so that will have to wait for March. Due to all the snow days, I just didn't get to the gym 3 days a week, I will be honest I stink at at-home workouts but I am going to try! As far as the blog, I have decided to focus more on speaking and I am excited about what I have planned so I don't plan on focusing on the one on one coaching for now. You can see my why and media kit here. Growing Facebook is really hard so I think I will just keep plugging away! First, I consolidated and chose less goals to focus on and I really want to get more reading in, be better about taking out my contacts and keep plugging away on a writing project I am working on! As Lara Casey says, imperfect progress is still progress! I love goal setting because how will you know when you have made it, if you don't know where you are going? I just have to do a quick plug for one of my favorite shows. If you have not seen it, you need to catch up. It's cheesy but sweet and so good. It's on the Hallmark Channel if that gives you an idea but I tell you what I mourn when a season ends and then cross my fingers and toes hoping they will be renewed for another year. Catch up on Netflix now! That's it for favorites today - a girls night, some basketball, road trip, goals that keep me motivated and a favorite tv show. That pretty much sums up life around our place these days! What are your favorites this month? Any March goals? Have you been slammed with snow and ice too?